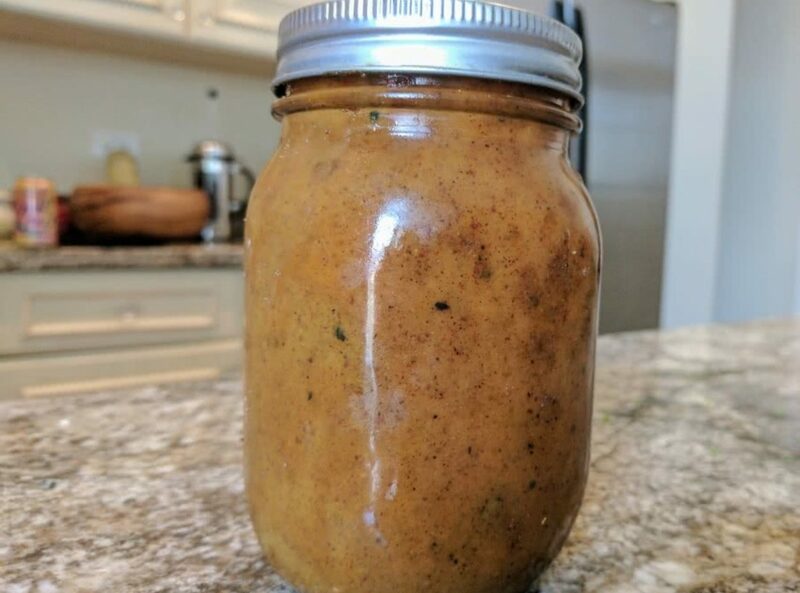 An incredibly thick and spicy mustard based BBQ sauce that works great on pulled pork, ribs or brisket. Enjoy this hot, thick and tangy sauce that is a great staple of the Carolina BBQ style. Simple to prepare and should store in the fridge for about 2 weeks. Adapted slightly to use peppers instead of Tabasco Hot Sauce allows you to control the salt and vinegar content. Combine the mustard, sugars, serranos, chilli powder, cayenne, and black pepper in a small sauce pan and stir to combine. Add the vinegar in order to reach the desired consistency. Remove the sauce from the heat and add the butter and soy sauce. Stir until all of the ingredients are combined.